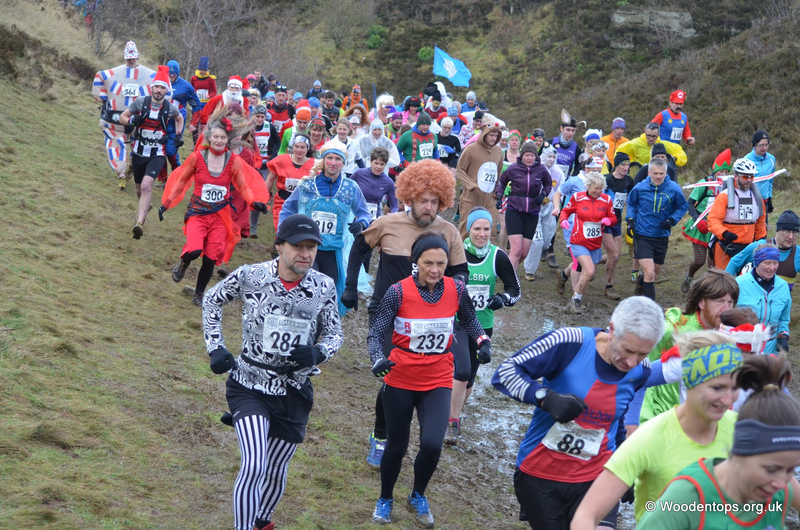 “The Auld Lang Syne fell race is traditionally known as the end of season fell finale and attracts a strong field of runners, most in fancy dress. It is so popular you have to get your entry in quick, all 420 places sold out in 2 days, luckily our cheque arrived in the post on time and we made the start list. New Year’s Eve (race day) arrived and we were both full of colds, but we decided to go for it anyway and just enjoy it. We arrived at Penistone Hill in West Yorkshire and it was a tad bit chilly, we registered and got ready mingling with everything from Stormtroopers to a weightlifter with his extra large Dumbbell! The legendary Dave Woodhead started us off with a bagpiper playing as we left the quarry and headed into the hills. The route was a out and back with a loop taking in Top Withens summit and had a nice slippy bit in the middle where you drop down into a beck where I was having a great battle with Tony the Tiger and Suzanne was battling it out with a Stormtrooper and a Sumo. Ivan and Dave Madders ventured to Liverpool on new years eve to catch the first race of the Liverbirds double, over to Dave for his report…. 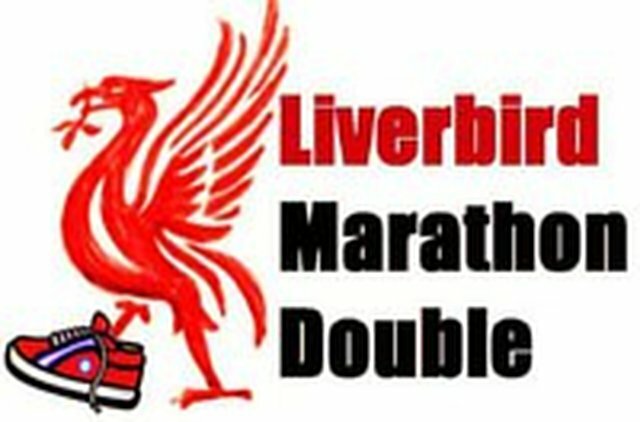 “Each new years eve ( and new years day if you’re particularly keen ) there is a marathon along Otterspool promenade in Liverpool called the Liverbird marathon double. No frills, £20 entry, paid direct to a choice of 2 charities, supply your own drinks/supplies and you’re away. Ivan davies and myself entered this year and duly arrived on the promenade with 200 or so other madmen for the 10am start. The route goes alongside the Mersey from adjacent to the albert dock Travelodge up to the end of the prom at Aigburth and back with this 6.55 mile loop being ran 4 times. Ivan being a 3 hour marathoner set off like a greyhound leaving me to shuffle along at 8.30 pace. After 2 laps the weather as forecast took a turn for the worst with strong winds and driving rain creating horrendous conditions for marathon running. Ivan suffering with a pulled groin soldiered on for 3 laps ( in a very solid time of 2.25 ) whilst I shuffled my way to the finish in a time of around 4.24. 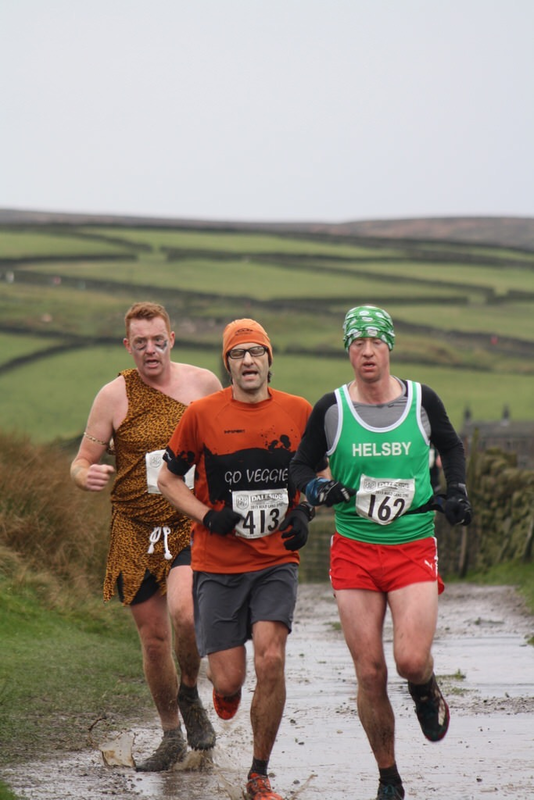 38 plucky souls did both days with elite runner Terry Forrest running an unbelievable 2.38/2.45 successive marathons. Great Craic between runners made this event a worthy effort with great support from other runners plus Its not every race the winner high fives all the other competitors on his way to a 2.38! 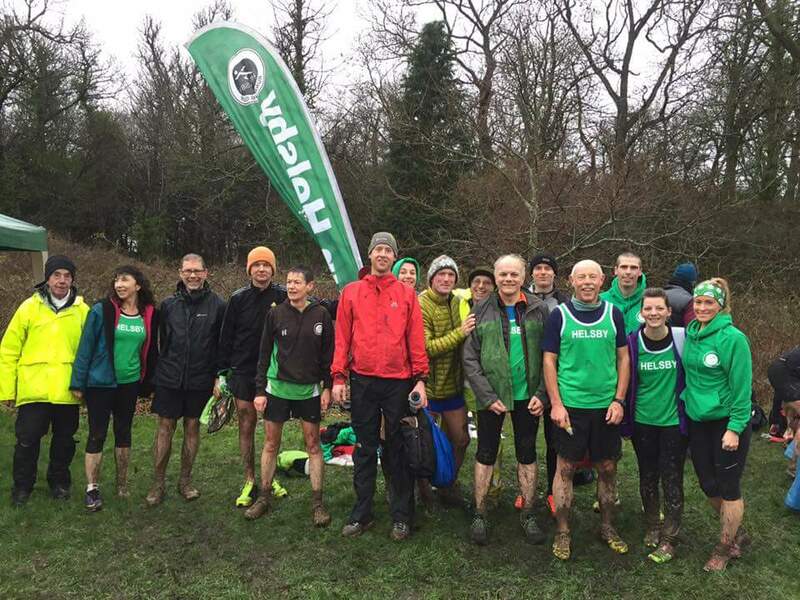 We had a good turn out of green vests for the penultimate cross country race in the Sunday League series and it was fantastic to get a full team out for both the men and ladies despite the appalling weather. The venue was at Arrowe Park (hosted by Pensby) and the course consisted of 2 laps of energy sapping gloopy mud around the park. Thank you to all who turned up and well done to Ben Fletcher who had a stormer to take the first Helsby home honours and top 20 finish and Joanne Lacking for another fine display of running to take the chequered flag for the ladies. Also big kudos to Tanya Downes for her first foray into XC running on what was a tough course, she seemed to enjoy it and will hopefully be back for more pain! The next and final race is on Sunday 21st February at Birchwood Park – make a note in your diaries. The mens team were 5th on the day and the ladies 4th. Wed 6 Jan – 4VHM medal making – we need lots of help to re-packing this years medals – please come along to the HCSC bar after our training run and help out as many hands make light work, chip barms provided. That’s all this week. If you got this far thank you for reading and please let me know if I have missed any races. Remember, all results and reports should be sent to helsby-race-reports@outlook.com otherwise we could easily miss something if posted on social media. 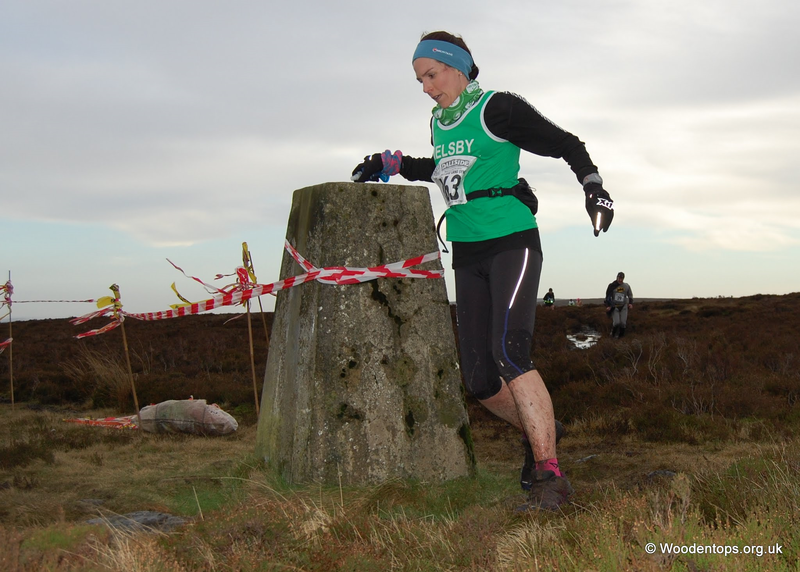 This entry was posted in Cross Country, Fell Running, Road Running, Weekly News. Bookmark the permalink.